Who wouldn't like to get better at their B2B marketing? Below is our list of our favorite podcasts from B2B marketing leaders. Hosted by the popular entrepreneur, Gary Vaynerchuk, on this podcast you’ll find a mix of Gary answering listener questions, sharing previous keynotes, and audio segments from his daily video series. GaryVee is a master of the marketing craft. So beyond the quality of the content, you’ll also see how a world-class marketer is leveraging the medium of audio to nurture relationships with his audience at scale...which is something your brand should consider doing as well. B2B Growth is a daily podcast for B2B marketers. Each episode is usually 12-15 minutes, and features an interview with a B2B marketing executive or thought leader. Because the episodes are short, they are able to keep the show free of fluff...just actionable content from the sharpest B2B marketing leaders in the world. Hosted by Jason Miller, leader of global content and social media marketing initiatives at LinkedIn. Jason's trademark rock ‘n’ roll flavor sets a vigorous pace for discussion, covering everything from storytelling in B2B to effective time management. Each episode gives you opportunity to listen to him riff ideas and anecdotes with industry heavy-weights. This long-standing 30-minute weekly podcasts hosted by MarketingProfs. Brings together talent from a huge variety of industries with the sole purpose of delivering its subscribers first-person advice to enhance their day job performance. Tapp Network works with multiple B2B industries, providing amplification to their brand and marketing initiatives by mobilizing their members, influencers, and capitalizing on best in breed technologies. 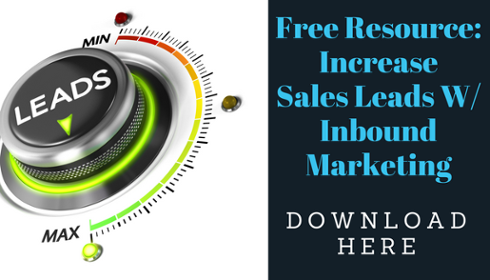 If you are looking to increase your B2B sales leads then are free whitepaper below is perfect for you.